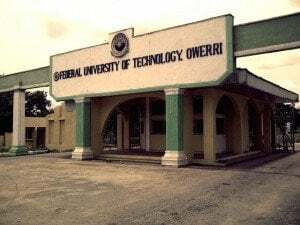 A new date has been fixed for the Federal University of Technology, Owerri (FUTO) 37th matriculation ceremony for the formal admission of 2018/2019 academic session newly admitted students. See FUTO matriculation ceremony date below. This is to inform the general public and newly admitted students of the Federal University of Technology, Owerri (FUTO) that the authorities of the institution have rescheduled the 2018/2019 matriculation ceremony. The 37th Matriculation Ceremony for the admission of fresh students in Federal University of Technology, Owerri has been rescheduled to hold on 12th April, 2019 at 11:00 am at the Convocation Arena, FUTO. The ceremony will mark the formal admission of 1st year students to pursue various academic disciplines in the University.